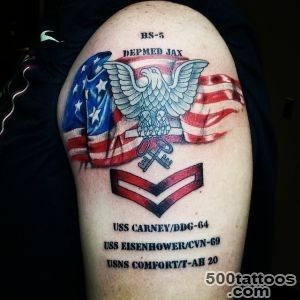 The history of the military tattoos begins with antiquity. 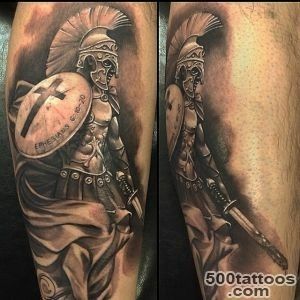 The warriors of ancient tribal tattoos applied itself frightening , during the First World War, soldiers made ​​a tattoo in order to facilitate identification of the procedure in case of death . 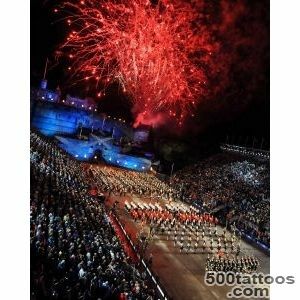 The very first Russian military tattoo can be called that ,which was made during the reign of Peter I - he introduced them institutionalized and binding . 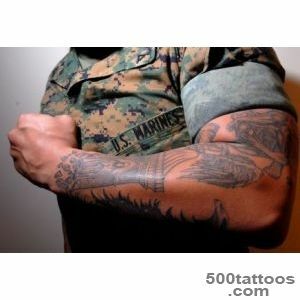 On his wrist was applied cross, as a paint which was used for gunpowder. 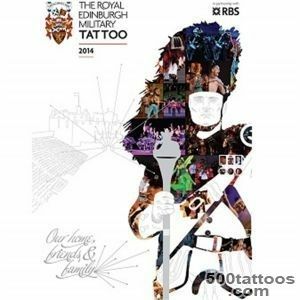 She could prick oneself a soldier personal number. 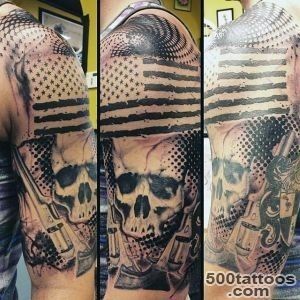 Procedure of those times was considered painful , but it helped to fully identify the victim from Petrine army.In the days of the Red Army on the left arm tattoo was applied with five-pointed star symbol . 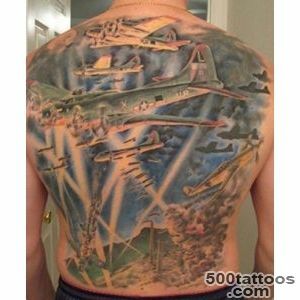 Later such figures began to treat negative , some departments do something forbidden to draw on the body. 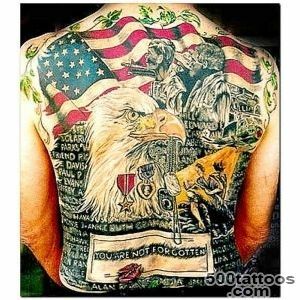 Military tattoos are believed to historians and psychologists, they are a manifestation of the instinct of self-preservation . 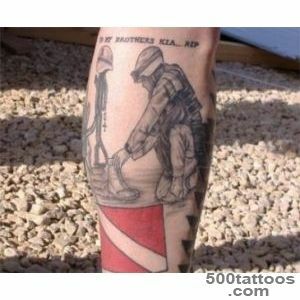 Sometimes ,tattoo acts as an army times as memorial sign . 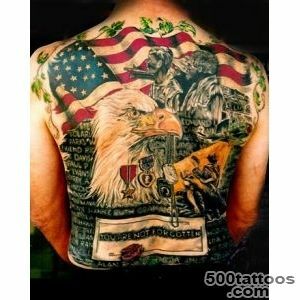 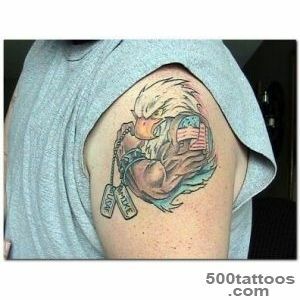 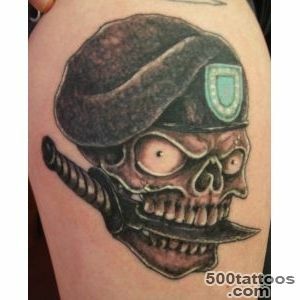 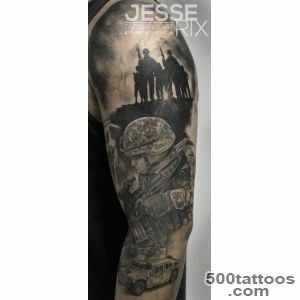 Tattoos with a certain kind of image feature themed troops , place of service , and so on . 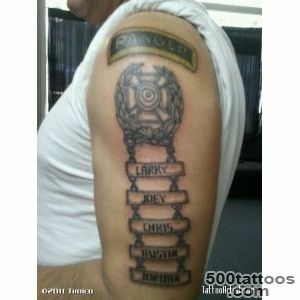 D . It is a tradition that is firmly established in the everyday life of the military. 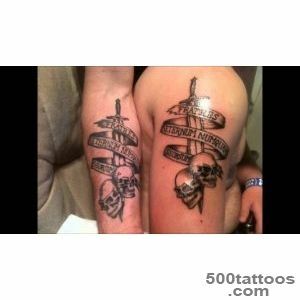 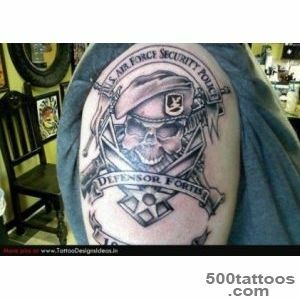 The category includes tattoos , which are owned by people experienced all the severity of the military service .They indicate the status of the holder in the category of armed forces show a person belonging to a particular type of troops and the special unit . 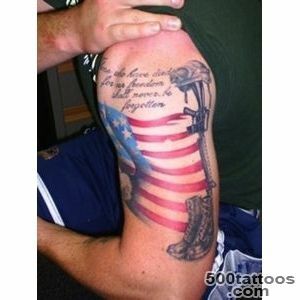 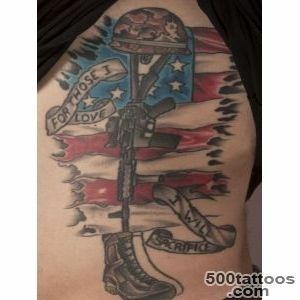 In the army, tattoos are only experienced soldiers and "spirits" , and all those who have not served a certain amount of time , may not have the military tattoos .Most often, the desire to put a tattoo due to the fear of death , the desire to protect itself , the desire to be recognized after his death . 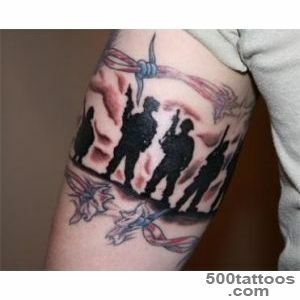 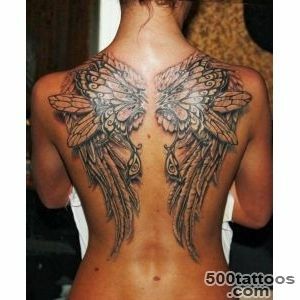 Sometimes tattoo forbidden to do by the soldiers who serve in the intelligence that they could not identify . 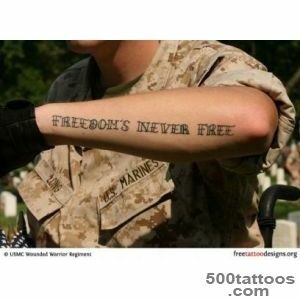 Also, soldiers serving in Vietnam may not have a tattoo , because it could be blood poisoning .But in other situations, tattoos with blood saved people's lives - it is the practice among employees in Afghanistan. 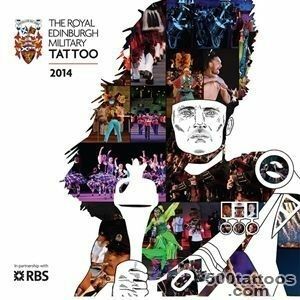 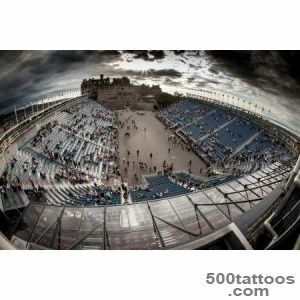 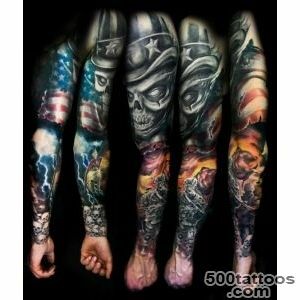 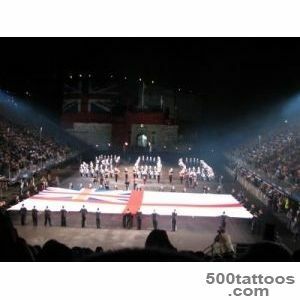 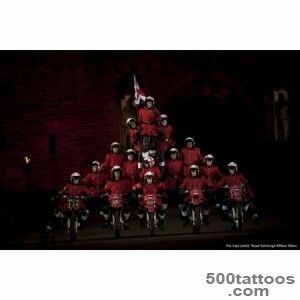 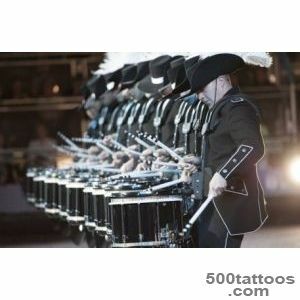 Military tattoo can be called one of the few tattoos , which are huge, the real meaning and importance of life . 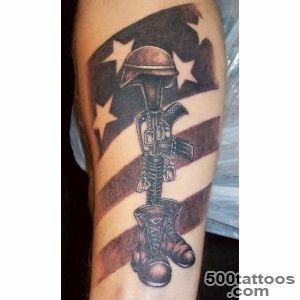 Military tattoos are done for a reason , all tattoos have to be honored ,and the person is forced to take its meaning and essence. 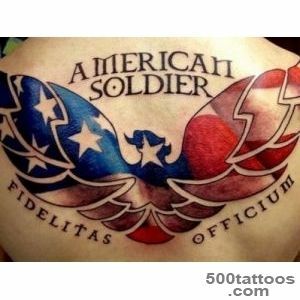 Often men do these drawings at the end of the service , to remember the years passed , expressing his love for his native country , noting yourself among other people . 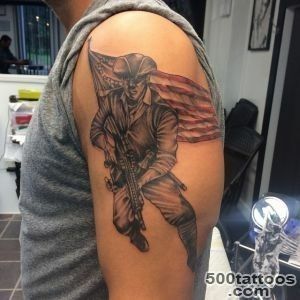 Recently, officers tattoos result in complaints that falls cultural level among the young soldiers ,and crime and violence in contemporary society is growing relentlessly . 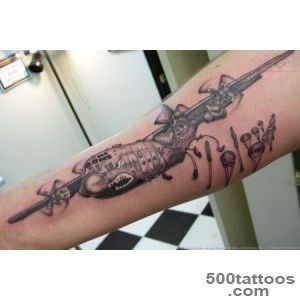 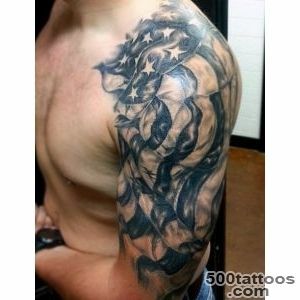 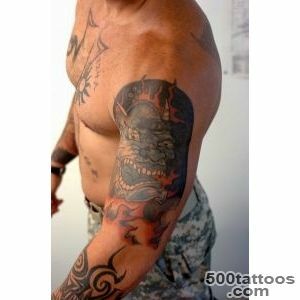 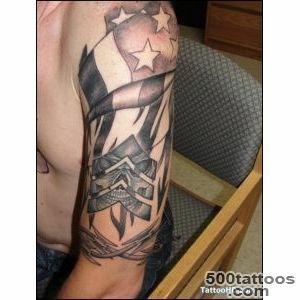 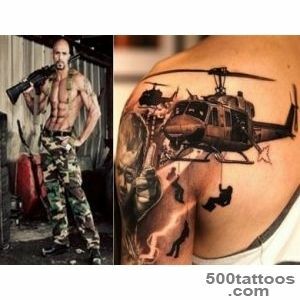 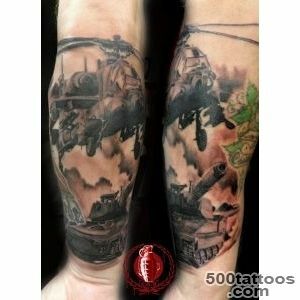 Now, soldiers prefer to do tattoos in the form of a parachute , animal heads , patterns , planes and interweaving black.